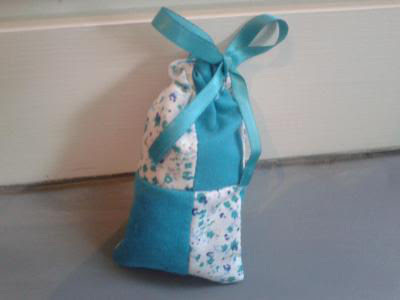 Lavender Bags have always been something that I've loved to make. I think its to do with how they always turn out well - even if they don't look perfect, you can still make your clothes smell heavenly with them! I came up with a way of making lavender bags smell nice and look nice, I hope you enjoy the tutorial! 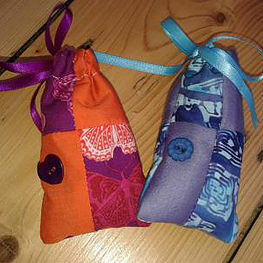 You can make these lovely lavender bags as a gift for a friend, or maybe a sweetly scented treat just for you? Follow these simple steps to make your very own. 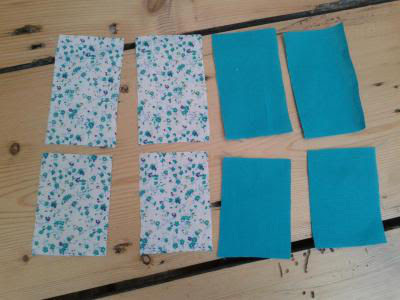 Cut out two rectangles measuring 5cm x 7cm in your first fabric, and two 5cm x 7 cm in your second fabric, as well as four rectangles measuring 5cm x 8.5cm (two in each fabric). 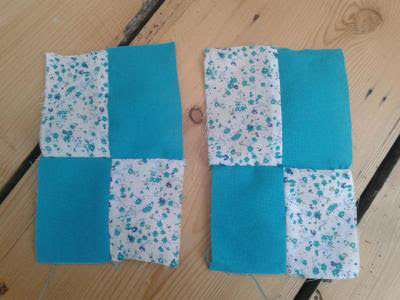 You should have four rectangles in your first fabric, and four in your second. 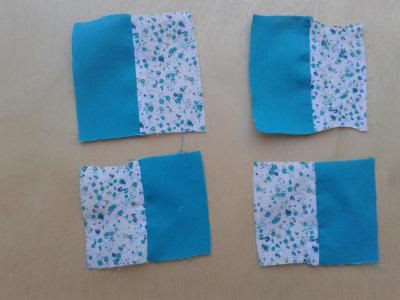 Put the rights sides of the same sized pieces of fabric together and sew two of the smaller rectangles (one in each fabric) to two of the bigger rectangles. You should have four large rectangles made out of eight smaller rectangles. 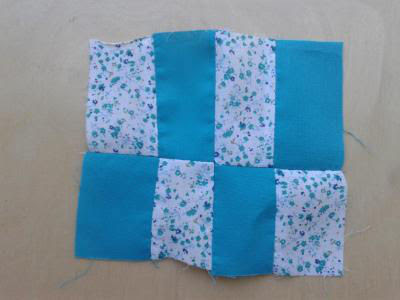 Fold over a fraction of the edge on each side of the rectangle, and sew down. 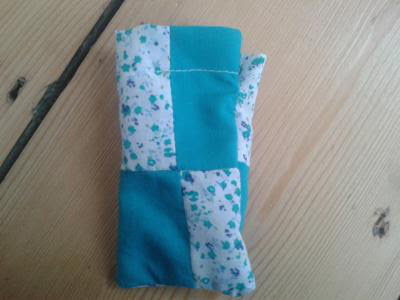 Fold over the top of the fabric (approx 1.5cm) and sew along the the fold. Your ribbon should be able to fit through! 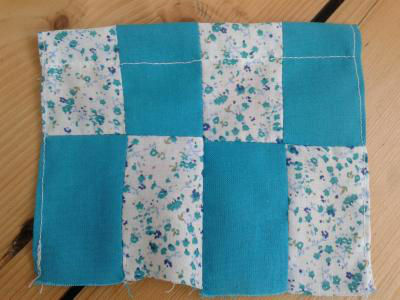 Fold the material in half and sew up one edge and the bottom. 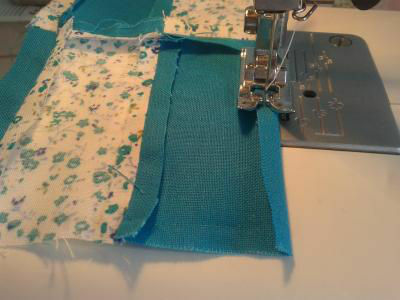 Make sure that you stop sewing before you reach the fold where your ribbon will fit through. 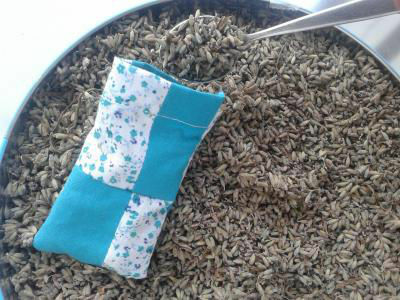 Finally, fill 3/4 of the pouch with lavender and thread the ribbon through with a safety pin (about 30cm should do). Et Voila! You're very own lavender bag. I love lavender, great tutorial! Thank you! Yes, it smells so lovely.